Lately, the days have been passing by quickly. I wake up, go to work, sneak in a quick lunch (read: inhale my lunch and run to the bathroom before the second wave of kids come), and then go home, eat, shower, sleep, and repeat. It's been a cycle and I feel like I'm in a bit of a rut (again). I want to refresh myself and remind myself that this life of mine is not a forever. That the seasons I'm in will not (and are not) going to last forever and that someday I'll look back on these days with fond memories of the good old days (ha!). But in all seriousness, I want to remember that today is a gift. That I've been given today, this moment, this second, this point in time and that it is a gift and not something I'm entitled to. It's not something I deserve, but rather, something I've been given. And like a gift, I'm going to enjoy it, eagerly anticipate what's next, and enjoy what I've received--no matter what lies inside. How do you celebrate the ordinary? How do you remind yourself of this truth? Do you agree or disagree? I celebrate just like it seems you do. Photographing the ordinary. Speaking of. That cupcake. Is that peanut butter frosting? 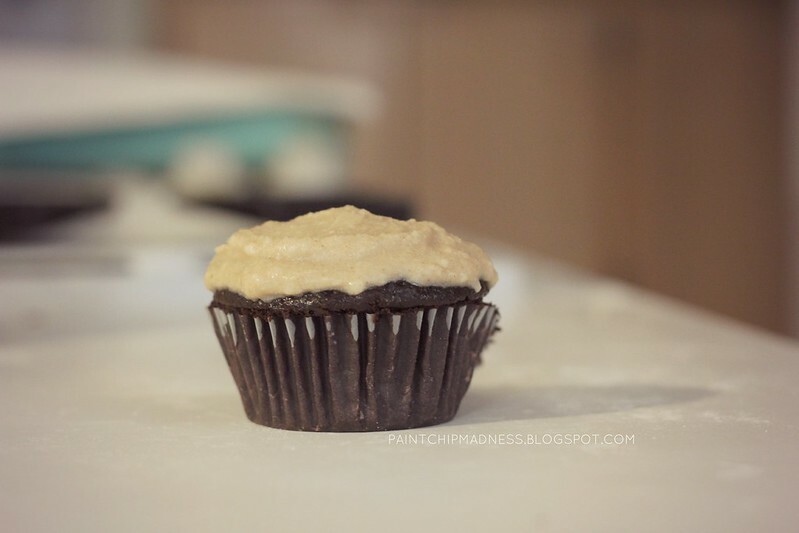 Because we definitely made brownie cupcakes with peanut butter frosting yesterday. While the boys were napping. They still haven't seen them. Ha! And I think that feeling you're (we all) are in of just feeling like "there has to be something else," it's because there is. And you totally hit it, that this life is not IT. We were created to live in a different way, and because of the fall, it's just not how it is anymore, so our hearts are yearning for the day it is made right again. (I've been thinking about this a lot lately). I completely agree. Photographing the everyday is definitely how I try and live in the present and remember all that I have in front of me. Photography is powerful, right? I feel that way a lot lately. Being in a "rut" can be so discouraging, but celebrating the ordinary is such a beautiful idea. I'm really bad about focusing ahead, always on the next task. I'm really trying to reel myself back in and focus on each moment, as opposed to constantly living for the future. It's about finding the good in the "now." my days feel like that all too much recently! where they all kinda blur together & i feel like i'm not really going anywhere! but you are so right that today is a gift! and i should treasure it as such! i have been feeling like this, too! in the mundane and routine, i felt worn & exhausted, just clinging on to the future. but then God reminded me to live in the now. these seemingly ordinary moments are shaping me. they are all significant to this story - my life - He is writing. Trying to remind myself of this, as well! I'm in a season of waiting on confirmation and clarity from the Lord, and it can be so easy for my mind to just race and ACHE for that confirmation. But instead of spinning my wheels, I just want to rest in Him in this season. Unknown and all. I know one day I'm going to look back on this time of waiting as such a sweet gift of growing closer to the Lord. Thanks for the sweet reminder to live in the present, deary! I think a lot of us often feel this way. Love this....thank's Kiki! Hindsight is always helpful, and I know looking back on things helps give perspective. Sometimes in the heat of the moment, it's hard to see the good, or the preciousness in the everyday ordinary things. and i'm with laura, a lot of us feel this way - often! i think you celebrate it in moments like this - enjoying the moment. Love that idea! I feel like I'm just chugging, chugging, chugging at work because it's so busy and there really aren't any still moments to take advantage of. But like you said, taking the time to just savor the moments and enjoy the everyday is exactly what makes today a gift. :) Well said, my friend. Well said. Love this post girl, so good! It's so easy to pass by the little things and not enjoy the moment, especially in the fast paced world that we live in. I find that when i do "savor the moment" I am more in tune with what God wants me to see, like a sunset or a chat with a friend like Amy said. Enjoy those moments girl, cause your right someday you will want them back. And know that God has you in this season for a reason, and I can totally see him working in you girl! He is using this season to shape you for the next one, and to shape you into the women that he wants you to be. This is so, so good. You're always so encouraging! I love your outlook on life. It's a breath of fresh air! Aw, thanks! You are and have been such a cheerful encouragement to me and someone I can depend on, too. You not only inspire me teaching-wise, but you have such an understanding listening ear, too. Thank you for the support, friend! I look for the little joys in every single day. The photo a day challenge has really helped me focus on the present and what I want to make out of each day. Oh man, I totally feel like I'm in a rut right now too. I feel bored, tired, and just plain blah. When I start getting this way I have to start intentionally writing out my prayers to God thanking Him for all of the good things He blesses me with. I make myself really notice all of the little things around me that give me a glimpse of His awesome power,grace, and love. This was a wonderful post! Thank you so much for sharing it. 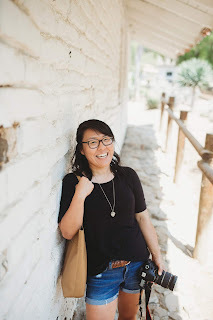 I discovered your blog through Jess over at Polished Arrow, and I am so glad I did. I'm thinking about linking up with The Circle. It looks so fun! Thank you for sharing your heart and thoughts in the comments! I love getting to know you, Paige! :) And yes, please do link up with The Circle! It's a new topic each month and a great way to meet more amazing bloggers, too!